Confess your sins to one another, that you may be healed (James 5:16). We are created for God and only in Him do we find the paramount bliss for which our heart is constantly yearning. Nothing other than God can make our souls happy! Give man everything which he desires and he will enjoy it for a while, but afterwards he will become indifferent to it, because he feels that something else, much more elevated, is missing. Is it not in that way that the child, too, enjoys every new toy until it grows hungry? Then it abandons the toy and looks for food. A certain inextinguishable inner hunger for truth, joy, and peace in the Holy Spirit (Romans 14:17) torments our soul and does not give us peace, even among the best pleasures of life and among the most enviable achievements in the world. This blessed hunger is a hunger for God. Blessed Augustine is right in his Confessions before God: “Thou madest us for Thyself, and our heart is restless until it repose in Thee.” The only guest who can make our soul happy is God. And if God is our paramount bliss, it is clear that which obstructs the way to God must be the greatest evil for us. Such an evil is sin. It is in vain that some unenlightened people seek the greatest evil for man somewhere else, rather than in sin. Some consider disease to be the greatest evil, others – poverty, and others – death. But neither disease, nor poverty, nor death, nor any other earthly disaster can be such a great evil for us as is sin. These earthly misfortunes do not separate us from God if we are seeking Him sincerely, but, on the contrary, they bring us closer to Him. Disease is not the greatest evil for man, because a disease of the body endured with humility, faith, and patience can cure the soul sick with sin and bring it closer to God – the greatest good for man. And death is not frightening for the believer, because through it, as through a door, one goes to the beloved and loving God Who hath prepared for them that love Him, things that which eye hath not seen, nor ear heard, neither have entered into the heart of man (1 Corinthians 2:9). But sin is the most wretched poverty of the heart – poverty that blocks the treasure of grace. Sin is a deadly sickness of the soul, a sickness that deprives us both of the joys of earth and the joys of heaven. Sin is a terrible and most lamentable spiritual death that separates us eternally from the joy of the heavenly inhabitants in paradise and buries us in the darkness of hell. There is no greater evil for man than sin. It destroys both the body and the soul. It makes both this life and eternal life bitter. It causes discord in families, quarrels among neighbors, and disagreements among relatives. It starts the fire of malice among people. It makes the soul proud and embittered. It poisons the heart with envy. It drives out holy feelings from the breast and invites the demons to settle there. It separates us from God. It extinguishes everything bright in our hearts. It teaches us to lie, to be gluttonous, and to be selfish and greedy. It makes us slander and judge our neighbors. It incites our hand to steal. It fills us with anger and rage. It whispers to us to seek revenge. It commits all outrages, debaucheries, and crimes. It causes all diseases, suffering, injustice, violence, bloodshed, and war. It has filled the souls of all of us with unbearable spiritual stench. It pours this stench into the relationships among us. Have you asked yourself why is it so stifling in the world? Why is it hard to live? Why can we not put up with each other? The answer is because sin has poisoned the atmosphere of life. We are all sick with sin. And if untreated body wounds emit intolerable stench, how much more terrible is the stench of sin! But I’ll Only Sin Again! Why should I confess when I know that tomorrow I will sin again? Is there any point in such confession? I see that one should confess only if one would sin no more after that! This objection to Confession contains: both something that is very true and something that is not. 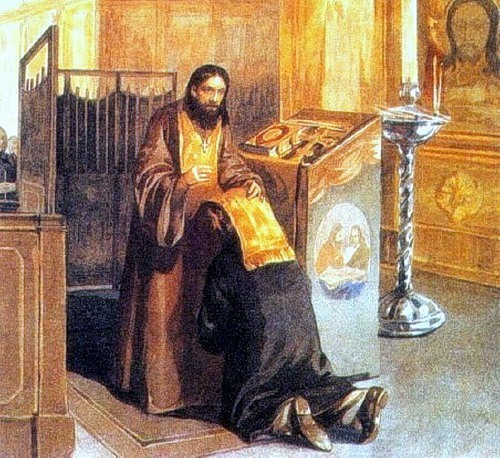 The right thing here is the desire not to sin any more after Confession. But we are feeble humans, and we cannot attain right away such a firmness that makes falling into voluntary sins impossible. If we cannot reach such steadfastness in virtue right away, should we surrender to vice? Or should we stop confessing? Which is better: to roll in the mud of the spiritual swamp, or to pick yourself up after each fall and go on with the hope that someday you may reach the solid and beautiful shore of virtue? If you do not confess, you remain in the mud. If you confess, you pick yourself up from the mud and clean yourself. “But why should I get up if tomorrow I will fall again?” you say. When you fall again, then get up again! Every day begin all over again! This is undoubtedly better than falling out of the habit of getting up. A young monk complained to the great ascetic Abba Sisoes: “Abba, what should I do? 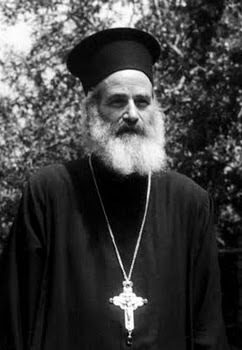 I fell.” The elder answered: “Get up!” The monk said: “I got up, and I fell again!” The elder replied: “Get up again!” But the young monk asked: “For how long should I get up when I fall?” “Until your death,” answered Abba Sisoes. This wise dialogue should be remembered by all of us who want to change but, deceived by the devil, constantly return to our previous sins. Every time we fall into a transgression, we must get up. The “getting up” is Confession. “But why should we play at falling and getting up?” ask some. It is not a game, but a struggle in which there is much sense. If we, as feeble humans, fall but get up again, there is a great probability that death will find us when we are standing. Then we are saved. But if we do not intend to get up, death will surely find us lying in the mud. Then we are lost forever! For the washing away of bodily dirtiness God has given water. 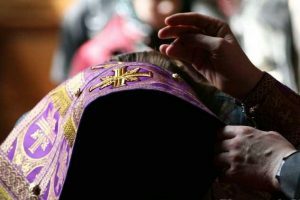 And for the washing of spiritual foulness, God has given the grace of the holy Sacrament of Confession. Every man, when he dirties his hands, washes them. No one says: “I will not wash my hands any more, because I will get them dirty again!” But why is it then that many people say, “I will not go to Confession, because I will sin again tomorrow!” It is clear that the enemy of our salvation is enticing us not to wash our souls, so that he can gain power over them. But we must not give in to such satanic suggestions; we should confess frequently, because frequent washing produces a taste for cleanliness in us.